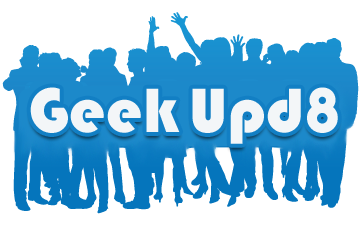 Geek Upd8 have been growing tremendously since 2009 (earlier known as Htda, which is now growing as a G8 tech project) as we emerged as a full fledged resource website from a niche blog, along with that there are many changes in the topics we cover as well as the way our readers communicate with us. For now you can find Geek Upd8 in 4 Main Channels + our evergreen Law Reporter, Technology, Blogger & Jobs Alerts each having a set of sub-topics such as criminal defense laws, civil litigation laws, latest judgments from Supreme Court and 24 High Courts of India, Immigration laws, Legal How To's, legal resources for lawyers and law students; social-media, google-updates, facebook-twitter; almost all possible categories of templates; hottest geeky jobs, India based jobs, US based jobs, government jobs etc respectively. With this there have been changes in the way readers read our content, as a large chunk of readers read G8 content by visiting website or subscribing to G8 feed, others prefer to read the G8 News on social media websites like facebook, twitter, google+ now a days. So here are the ways you can subscribe to G8 news.